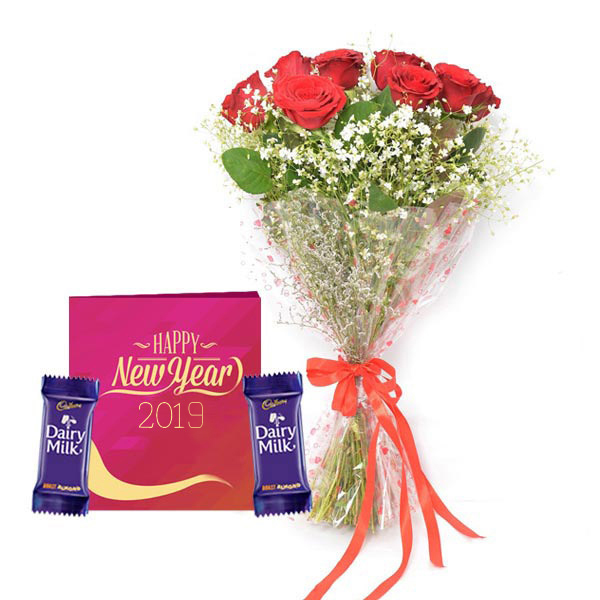 This amazing floral hamper consists of impressive greeting card for New Year, 2 Cadbury Dairy Milk Chocolates and a fresh bouquet of 10 red roses. 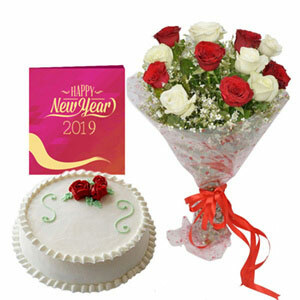 I found this combo really great for New Year. The flowers were fresh and beautiful and the card was pretty with a nice message. 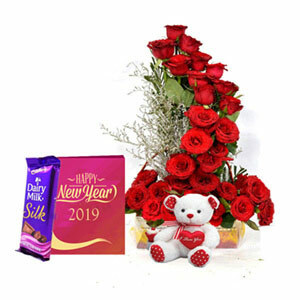 I am happy with the overall delivery service of giftalove. 5 An amazing product at such a pocket-friendly price. The bouquet was made with fresh blooming red roses. I just love the card. This combo was delivered to me on time without any delays. 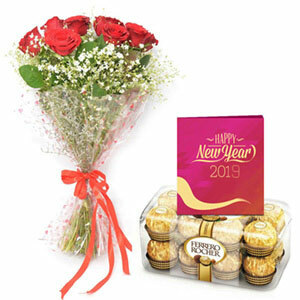 Thanks Giftalove for serving your customers on time and with incredible products.